Spring is here! Come in and find signs of the new season throughout the store. 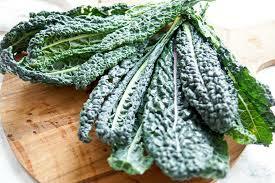 From fresh local produce, to a wide selection of garden seeds, and local eggs to eat (or put in your Easter basket!) we've got what you need to welcome the season. This past week, my co-worker Sarah and I took a trip over to Waldron Island to visit our farmers. 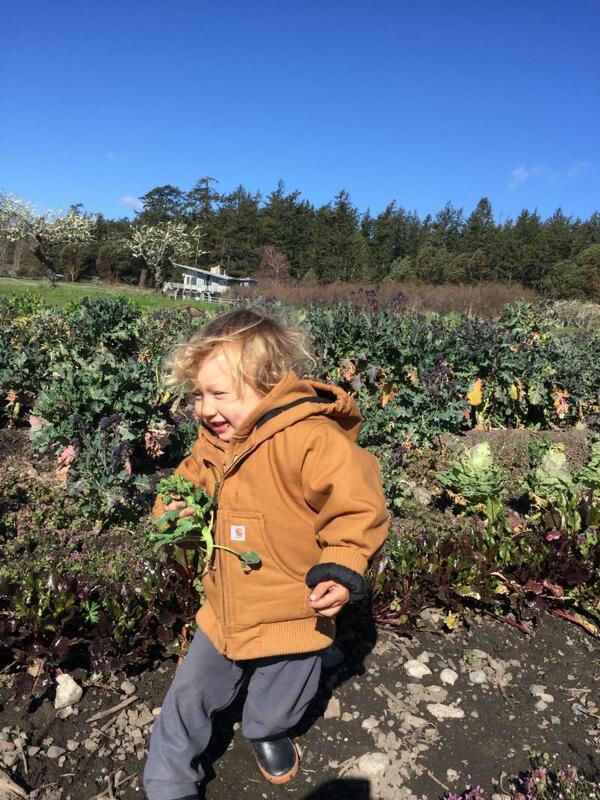 There are three primary producers on Waldron who supply to the co-op, and eventually we will share about each of them, but we wanted to start this month with our friends at Nootka Rose Farm. 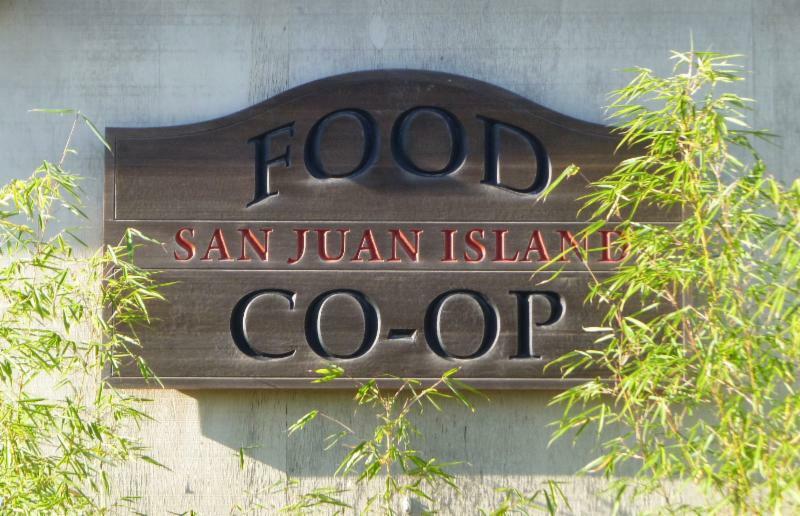 A returning member to the SJI Co-op family and tucked away on a magical little island most people have never been to, we are excited to share a glimpse of what goes on behind the scenes at this family-owned farm. 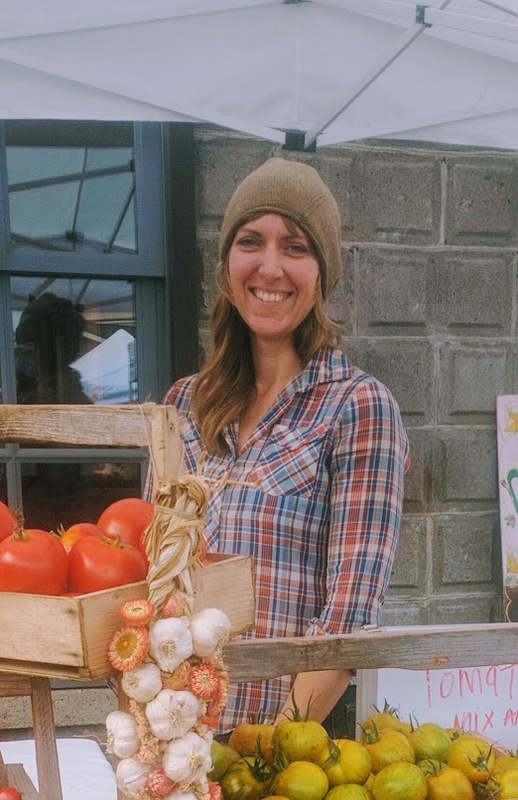 Nootka Rose Farm was a founding member of the SJI Farmer’s Market and was for decades one of the main suppliers of fresh, local vegetables to the islands. 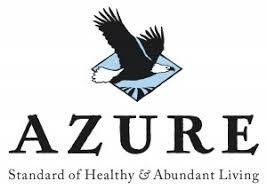 They are excited to be once again supplying quality, nutritious food to the people of San Juan Island. 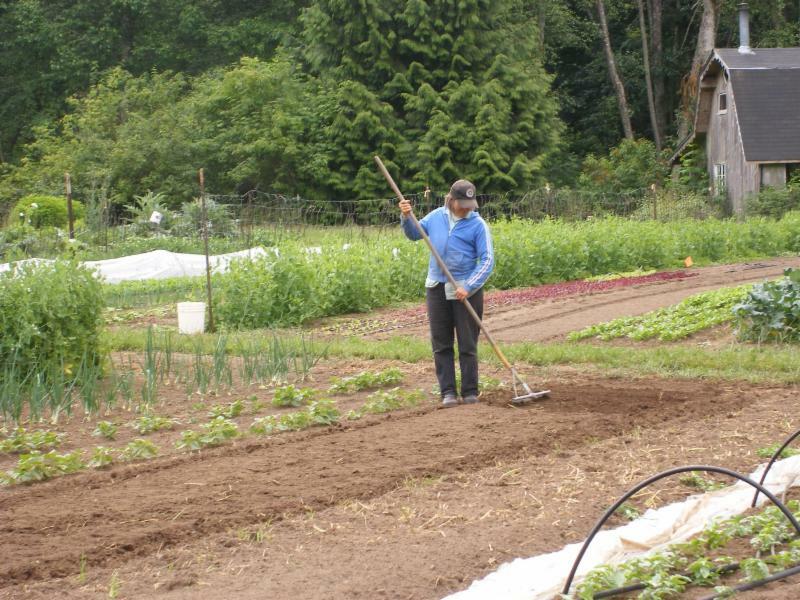 Nootka Rose Farm is owned and managed by Steve and Linnea Bensel, with daily operations overseen by Lei Nakitani. Linnea was born and raised on Waldron, one of four sisters. 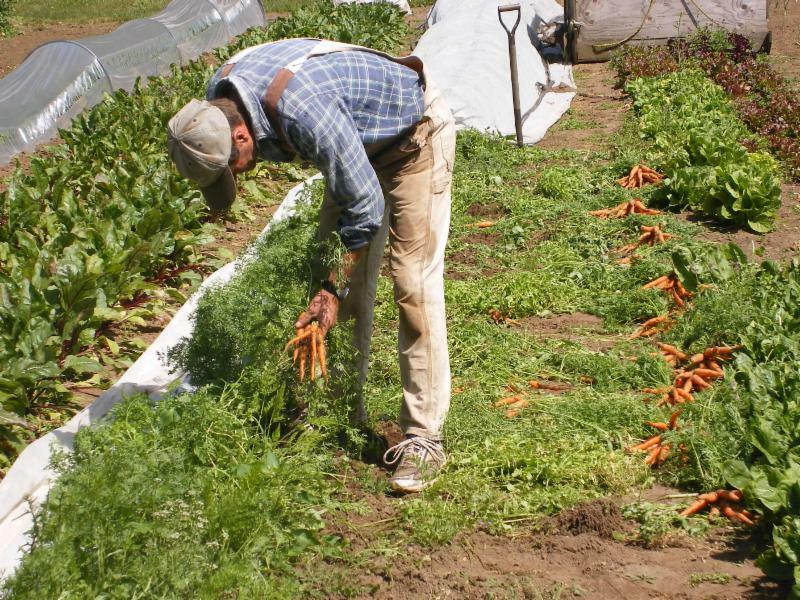 Steve relocated to Waldron in the late seventies when he realized it was ‘much better than anything [he] had going on in California,’ and the couple have been farming there since 1978, raising two daughters and countless vegetable crops. 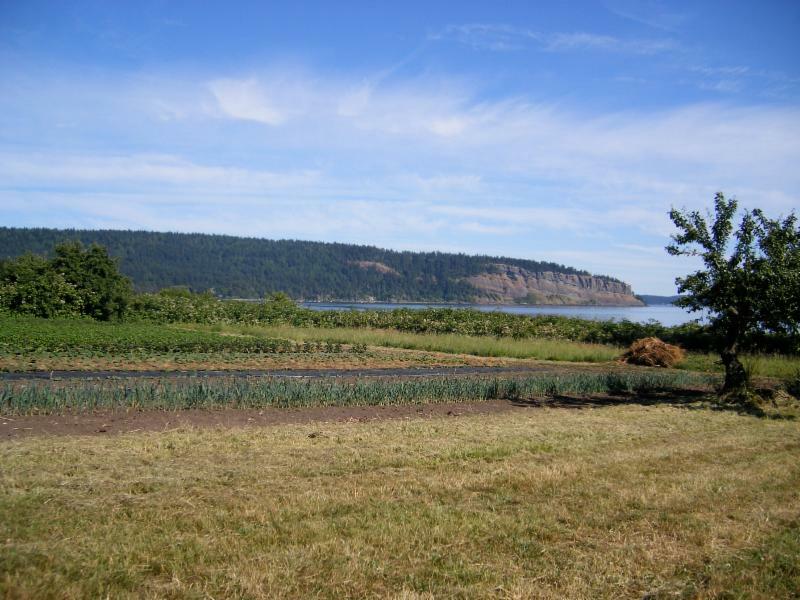 They have several parcels of land spread across the island, but their main production fields are established where they live, just a stone’s throw from their kitchen door. Lei Nakitani came to work at Nootka Rose from Japan in the summer of 2003, and quickly fell under the spell of the San Juan Islands. She returned three years later, and then couldn’t stop coming back. Eventually, Lei settled with her family in Seattle, where her husband teaches. She spends part of the year on Waldron with her two children, Kohta and Kazune, running the farm and overseeing production, and helping Steve and Linnea ease (slowly!) into retirement. We’ll be looking forward to seeing more of Nootka Rose’s offerings on our shelves in the next couple of months! I grew up in San Francisco and moved to Bolinas, a small town on the coast north of the Golden Gate Bridge. One year my friend Joe and I took a vacation to the San Juan Islands and I fell in love with this even more beautiful place with more wildlife, fishing, birding, hiking and forests with a lush, green landscape. Since I love to garden, I appreciated the gorgeous evergreen state of Washington. 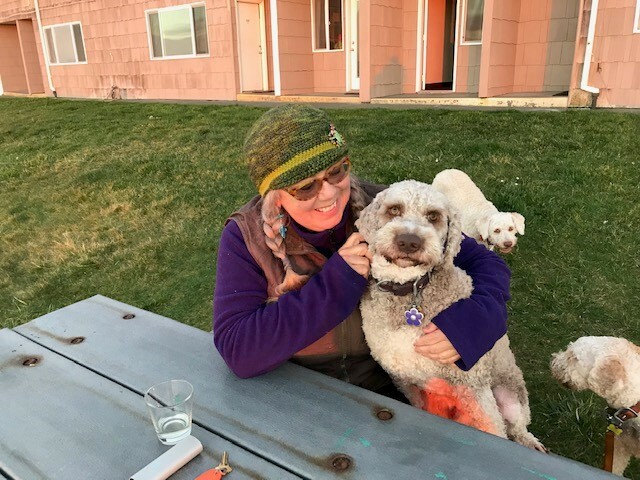 After several years of planning I bought five acres on San Juan Island and built a house, and in 2010 Joe and I moved here. For the first four years I continued working remotely at my job in San Francisco and using my spare time to focus on the garden and landscaping. In late 2014 I retired, and immediately began volunteering at the Co-Op. At first I primarily helped with stocking, cleaning, dusting and general upkeep; but it didn’t take long for me to branch out. I love to sew and enjoyed making new curtains, tablecloths and flower arrangements for the displays of vegetables and fruits. I also help with receiving our main orders on Tuesdays and am learning more about inventory and helping with special orders. Last year I also began selling my hand-made jewelry at the Co-Op. 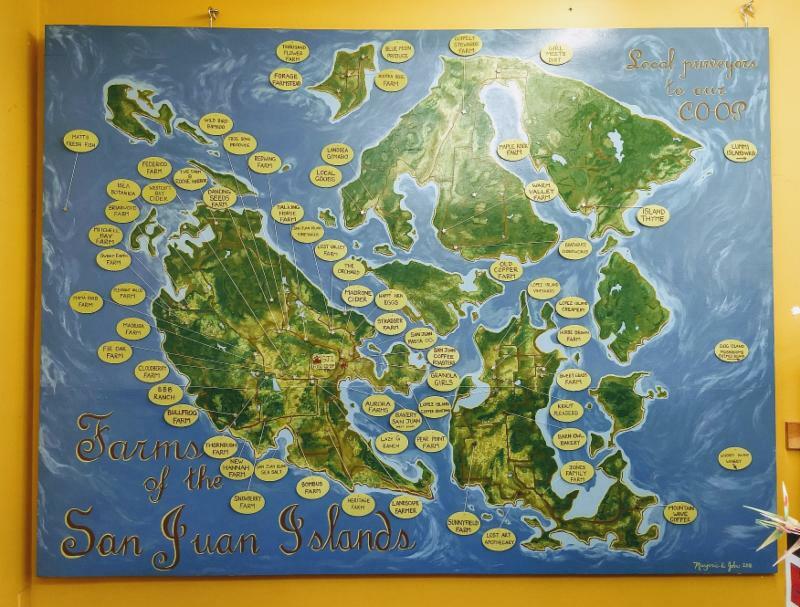 About 2 years ago I had a vision to paint a mural of our Island to honor all of our amazing and talented farmers and to highlight where our organic food comes from, who produces it and where these beautiful farms are located. Our manager Paul loved the idea and suggested expanding my vision to be more inclusive of all the islands and so the mural just kept getting bigger and bigger! The mural was a labor of love which took about 6 months to complete. 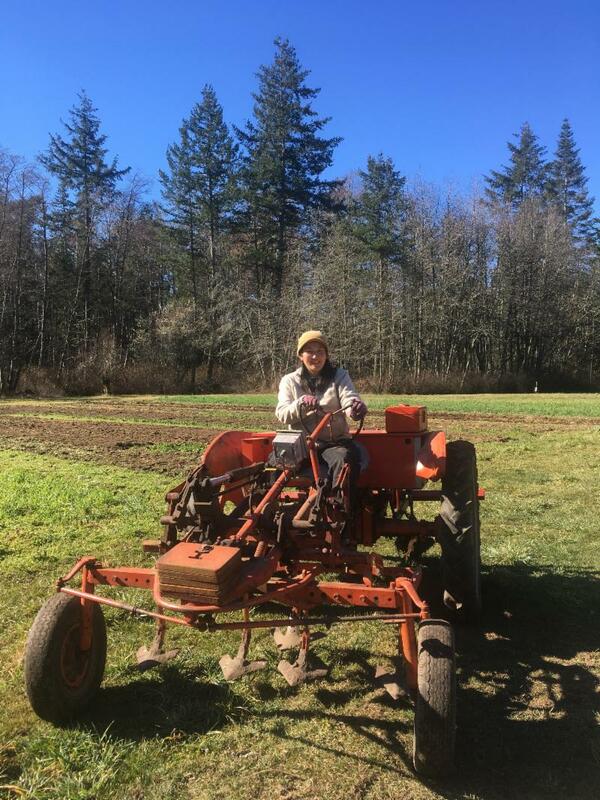 I wanted to create this project as a living work of art which can be changed and modified to reflect new farms as they come on board as well as honoring the established and historical farms which helped establish our Co-Op. During our first years here, while I continued working, Joe had the idea to plant trees inoculated with Black Périgord truffle spores, and we now have five small orchards. We hope that in the next few years we will begin harvesting French truffles; but in the meantime, I trained my two dogs Cricket and Poppy to hunt for truffles by scent. 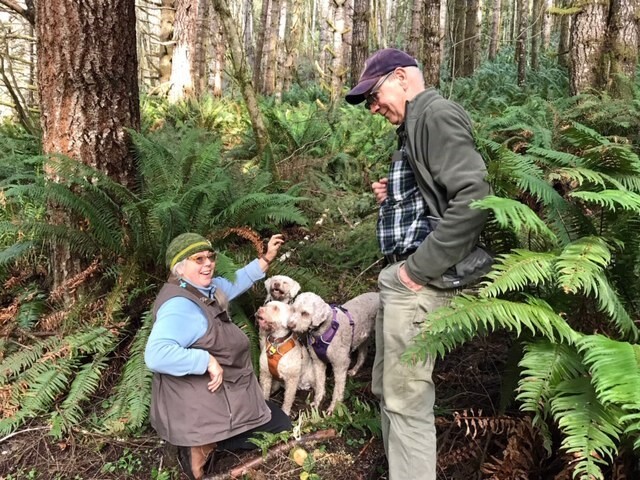 (Dog-foraged truffles are the only truffles anyone should accept, since dogs only alert on ripe truffles and don’t damage the soil ecosystem.) By now they are fantastic at finding wild truffles on the mainland, and we are learning about cooking with truffles and also sharing them with friends and local chefs. I would love to discover native truffles in the San Juan Islands, but up to now I have not been successful; it’s possible that our climate is a bit too dry. I’ve been trying to figure out what to write about for several days, partly because I’ve got so many projects going on. I think that long cold snap and all the snow backed us all up and then when suddenly we went from record cold to record heat we all realized we are behind on everything we need to do for our gardens. Well as I drive around the islands I do see some farms have their tunnels up and I’m sure crops are growing inside. 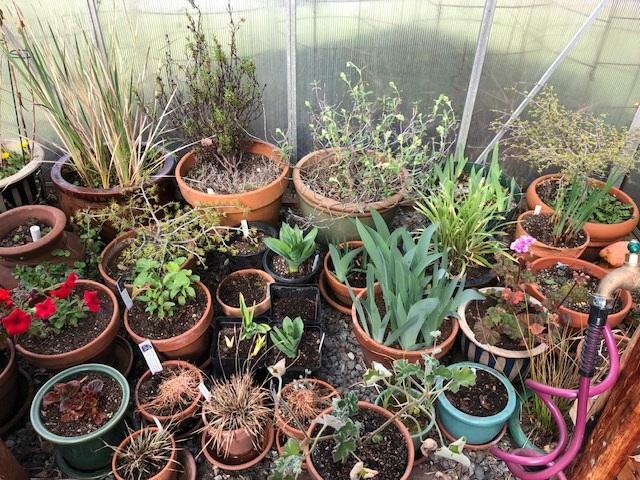 I have a friend who bragged that he’s got all this and that up and thriving in his hoop house. 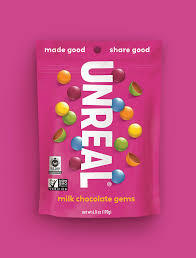 But not so for me. Paired with the fact that I had a cold for two weeks during the snowy time, and that all my projects are tardy, I am scrambling to catch up. What’s going on for me? 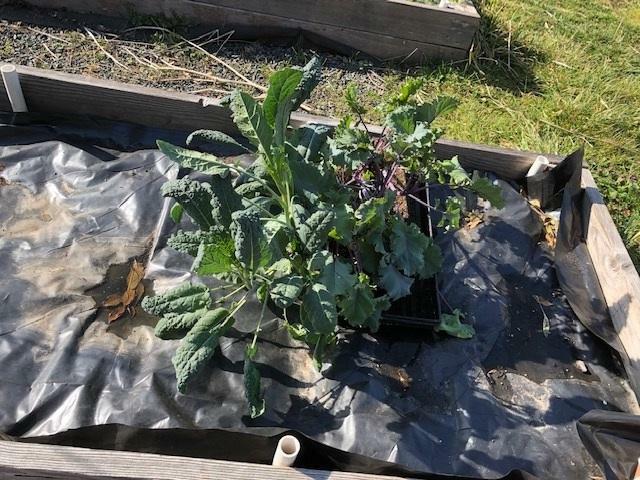 Well for starters everything bit the dust in the demonstration garden, and I had overwintered kale plants in my greenhouse that were already over a foot tall by the time we got them planted out yesterday. We finally got all the dead stuff pulled out and are clearing out the beds and I’ve got to scramble to get some lettuce and chard sown. Suddenly we’re in full swing starting veggies for the spring plant sale, and had to struggle with using a new space and getting heat mats and fans adjusted. We feared we had killed all the pepper seeds we planted, but fortunately some have poked their heads up and we replanted a lot yesterday. 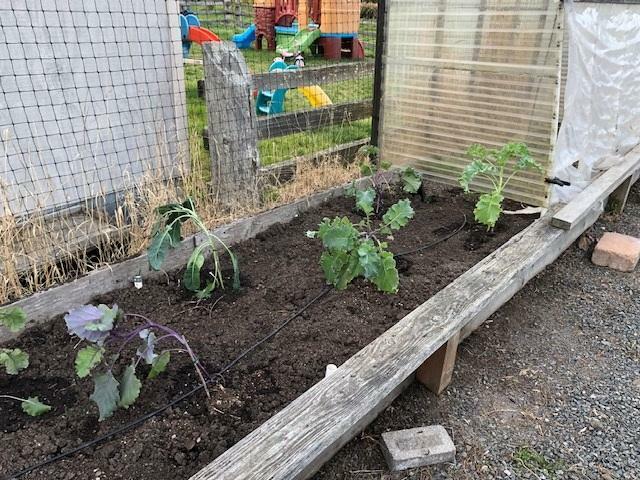 Here at home the rest of said kale plants are finally hardened off and if I can find a moment I’ll put them out in one of my beds. Oh and I need to work out the crop rotations in both the demonstration garden and my own garden. Here at home I haven’t pruned my fruit trees or berries yet, and all the pots that live on my deck in summer are still crammed into the greenhouse sweating in the heat that has suddenly overtaken them. At least the peas I sprouted are coming up in there and will be ready to plant out as soon as I find time to ready a bed for them once I figure out this year’s crop rotation. And never mind the flower bed I swear I was going to rehabilitate this spring. Actually I am determined to get that done, if I have to do it at night with a flashlight. Does this sound familiar to you? If so I am grateful for the company. If instead you smugly say “I’ve got all that done already” then I say, why don’t you come over and give me a hand? By way of excuse, please note that we are building a guest house in the middle of all this, so my priorities are a bit skewed right now. Now that I’ve taken out all my frustrations, Happy Spring to one and all! Will first came to San Juan years ago and immediately fell in love with the island. 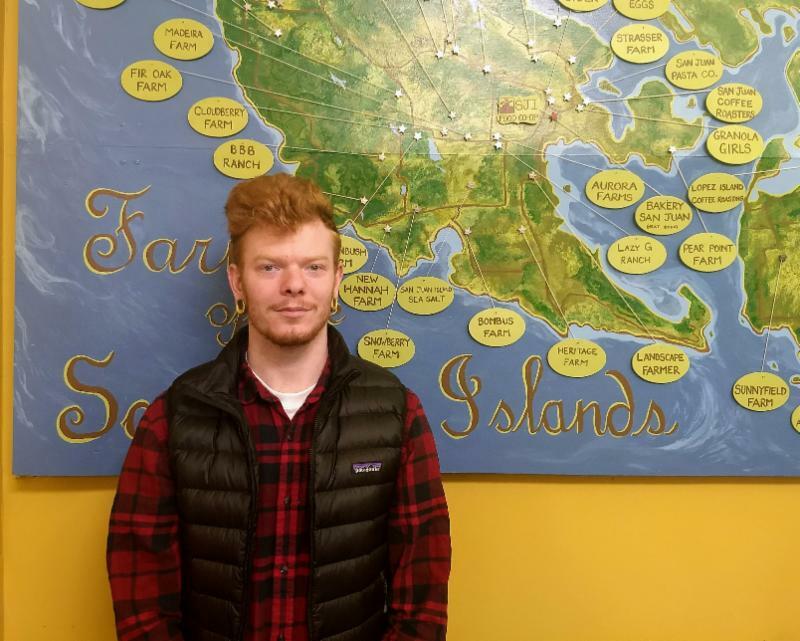 After exploring out in the world for several years, he decided to move back to Friday Harbor full time earlier this year. As a cashier, Will is most looking forward to working with the co-op community and embracing healthy eating. Outside of work, he enjoys working on car interiors, writing, and woodworking. 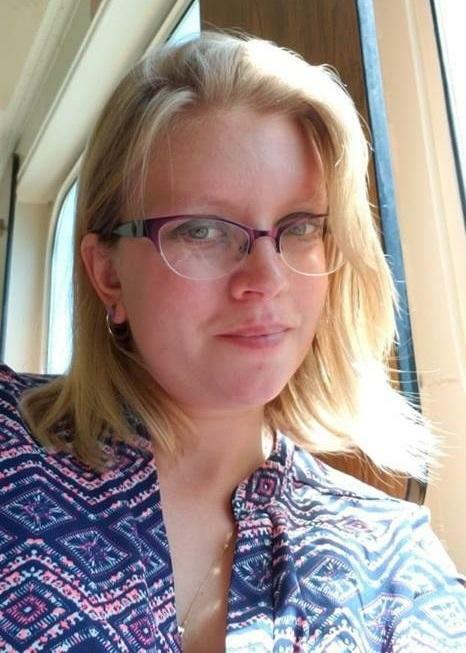 Summer is originally from Washington and Las Vegas and moved to San Juan Island two years ago to be with her now husband, Nick. She is currently in school studying social media marketing and loves to travel and play board games outside of work and school. Summer is most looking forward to getting to the know the locals at the co-op and becoming part of the community. CBD products have taken the Washington scene by storm since the legalization of CBD hemp oil here in 2014. With the passing of the 2018 Farm Bill, zero THC CBD oil is now federally legal in all 50 states and the use of medicinal CBD products continues to grow exponentially. However, there is a lot of confusion around what constitutes CBD oil, and the many things for which it can be used. In short, the plant Cannabis sativa can be grown as either industrial hemp or as marijuana, however the genetic profile (the cannabinoid profile) between the two is vastly different. Marijuana is typically grown to have high levels of THC (the component that gives the traditional "high" feeling), while hemp is grown to have very low levels of THC (less that 0.3% per the US legal definition of hemp) and high levels of of another cannabinoid compound in the plant, cannabidiol, known as CBD. CBD contains many of the same healing benefits, but without the high. CBD primarily interacts with endogenous cannabinoid receptors which are found throughout the body. CBD containing products can be made for internal consumption or topical application in order to treat a variety of different concerns. 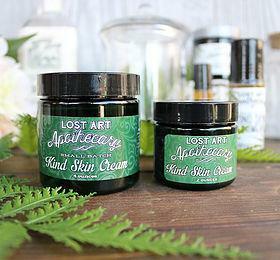 Your co op carries several different varieties of topical CBD products, including those made by Lopez Island local Denise Clark of Lost Art Apothecary. Denise's line of healing creams and liniments, Kind Skin Cream and Kind Skin Liniment can be used to treat a variety of complaints from headaches to sore, aching joints and muscles or inflammatory skin conditions, such as acne and rosacea. Her new MaryJane is Beautiful line of skin care products is spectacular! I began using her MaryJane is Beautiful Face and Sensitive Skin Cream several months ago, and I love the way my skin looks and feels! 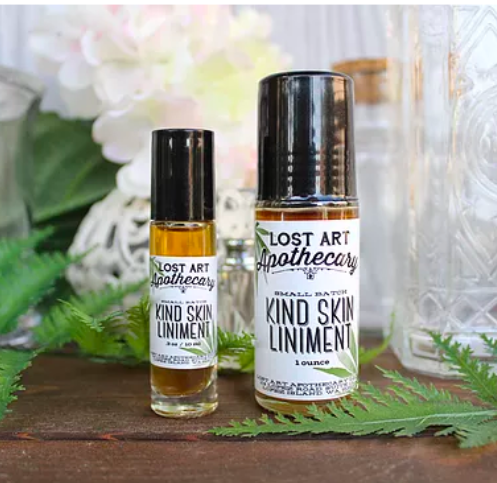 Come check out the information on the benefits of topical CBD products and perhaps give them a try for the first time or stock up on favorites by taking advantage of 15% off April 1-7th on Mary Jane is Beautiful and Lost Art Apothecary Products! It's officially spring now and I would like to talk about some lighter bodied reds and through them some ways in which grape farming and wine making can play out in different cultures and places. Difficulty and reputation also has a big impact on what gets grown where - two of these wines are made from Pinot Noir, which is famous and famously difficult to grow (it's known as the heartbreak grape in winemaking circles) while the third is made from Bonicaire, which has almost been forgotten even in the area it's native to, was never much known in the rest of the world, and is every bit as tricky to grow and make into wine. Let us begin in Burgundy, the home of Pinot Noir, in the village of Marsannay. 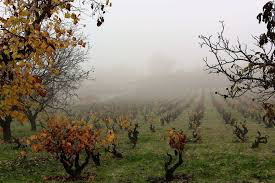 Laurent Fournier took over his father's domaine in 2003 and moved all their vineyards to organic farming, then, feeling that wasn't enough, in 2016 began the conversion to biodynamic practices. 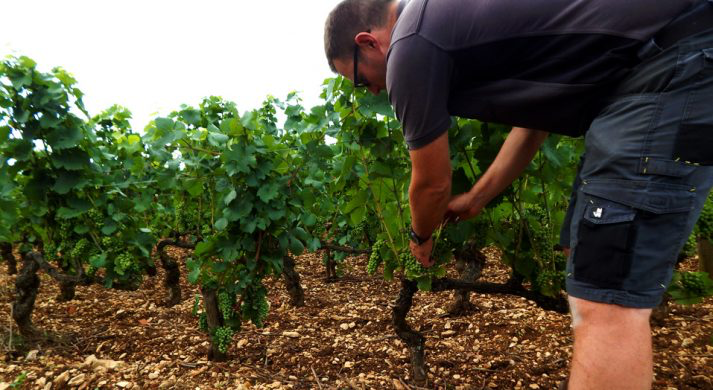 He farms a number of small vineyards in the village, which is common in Burgundy, where Napoleonic inheritance laws often mean a single row of vines is passed to each child, and the St. Urbain Cuvee is made from middle aged vines (10-30 years old) from a number of the vineyard sites. He ferments in concrete tanks, using some whole clusters and ages in large barrels of mostly old oak to let the fruit shine through without too much oak influence. Pretty red berry fruit, starting with fresh red raspberries and leading to cherries and strawberry aromas. Fine tannins, good structure with a slight hint of savory notes on the finish. And now to Oregon, where the oldest vines haven't seen 50 years and there are no truly old vineyards to inherit or buy for a song. Most new winemakers end up purchasing fruit and dream of planting their own vineyards some day, but since vines take 5 years to fruit at all and 10 years to give decent quality fruit that tends to take a bit. Silvershot Vineyards are farmed non-certified organic and the winemaking takes a very light hand - wild yeasts, the only addition is a little bit of sulphur at bottling, they get 11 months in oak barrels with 10% new oak. It has a juicy berry nose, some bramble stem, bing cherry and cola with a hint of rose petal. 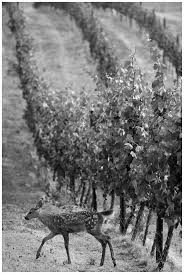 Medium bodied wine full of red fruit, crunchy earth tones, lively and playful as the deer that munch grapes out of the vineyard is how the winemaker characterizes it, this is an Oregon wine doing what Oregon does best. On now to Spain. Can' Landro Panxut 2016 made from 100% Bonicaire. This is a Pinot Noir lover's Spanish wine. Rose petals, bright red fruit and very earthy in the best of ways with a long spicy finish. Fine light tannins, a moderate body and acidity make this a very versatile wine with food or without. Panxut is the passion project of a young Spanish winemaker, Gabriel Sanchis, whose mission is to throw light onto the old traditional varieties of his area of valencia. Bonicaire is an almost completely unknown (his is the only commercially producing vineyard) slow ark of taste variety that has been grown in the area for a very, very long time. It's a difficult grape to grow, so it's always been a minor player in the area, but over the last few generations it almost died out. Gabriel found and rejuvenated an old vineyard near 2000 ft, on poor sandy soil and is 2 years into a 3 year organic certification. It's a little thing, but wines like this are a stand against global homogenization. It's also an interesting contrast to the two Pinot Noirs - earthier, slightly more floral, but similar in many ways. 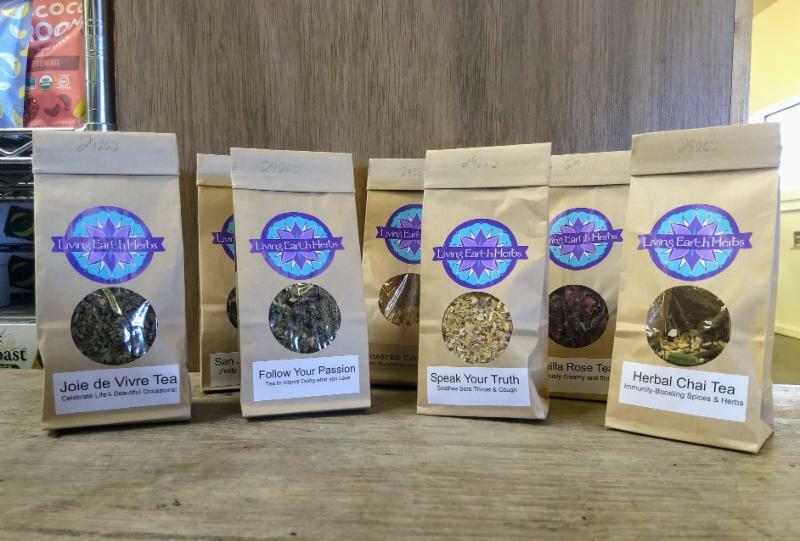 Isla Botanica teas are back - now under a different name, Living Earth Herbs ( Amanda sold the tea side of Isla Botanica to Living Earth Herbs out of Bellingham). 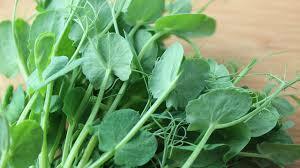 We have a great variety of mixed herb teas (some with black tea). Come check out our ever-growing tea and coffee selections! 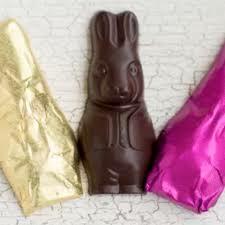 Get ready for Easter at the Co-op! 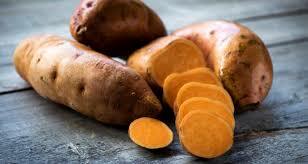 This year we'll have old favorites as well as some new items. 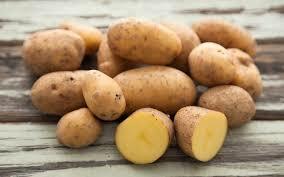 Plus lots of non-edible items for your Easter basket throughout the store! In addition to the rewards of donating their time, volunteers earn co-op cash to spend in the store. Any hours worked within the quarter will count towards co-op cash. All cash earned during the quarter is to be used during the following quarter, with transactions recorded at the check stand. 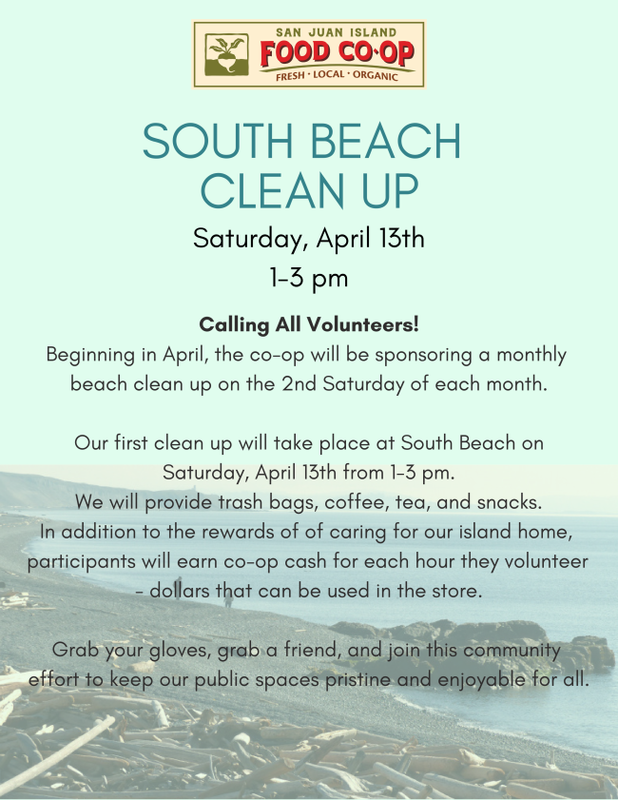 If you would like to volunteer, please email Sarah at the co-op with "VOLUNTEER" in the subject line: sanjuancoop@gmail.com . Order deadline is Saturday at Midnight. Orders available for pick up after 3pm on the following Tuesday. This month's orders are due Saturday, April 7th and April 21st by midnight.